Well it’s definitely been a busy month for my fellow writers at the Alexandria Publishing Group. 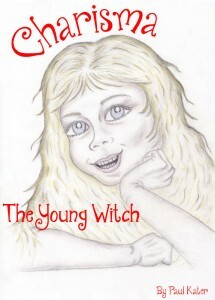 After Terry Simpson’s release last week, I’m pleased to announce that another group member, Paul Kater, has released a new children’s book, Charisma the young witch. In this story we meet Charisma. She is the youngest daughter of a witch and a wizard, and she is always looking for adventures and things to have fun with. One day she takes the magical ring of her big sister along when she goes to play with her friends Quinsee and Barnaby. As they play they arrive in a very strange place and it’s up to Charisma to find a way home again! A paperback version will follow shortly. All the best to Paul on this new release.